This Lotos Technology air / argon quick switch kit is a 3-way diverter threaded ball valve. It is a must-have for combo machines using both air in plasma cutting and argon gas in TIG welding. It helps users to easily switch from air compressor to argon tank, or from argon tank to air compressor. 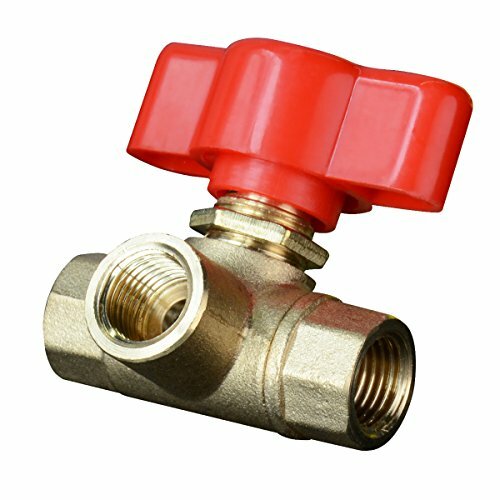 With this switch valve, you do not need to disconnect and re-install cables for all air or argon supply. It is applicable for Lotos multi-functional combo machines CT520D, LTPDC2000D and LTPAC2500.